Summary: Guest writer Denis has now completed every Yorkshire Dales Hill over 2,000 feet in height and these three were the last ones he did, all conveniently placed alongside each other on a splendid ridge in the Mallerstang area. What is he doing up here? 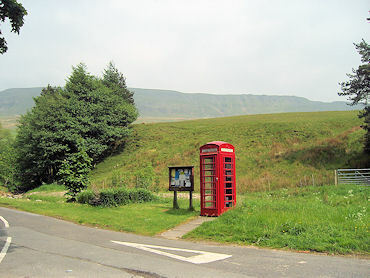 Parking is available at Outhgill by the roadside opposite the telephone kiosk NY782015. Take the lane up through the village passing through a gate at the top, from here there is no defined route!! Set your sights on a cairn perched above Mallerstang Edge but as you make the gradual climb towards the face do not cross the gill cut into the face but seek out a point where the steep grass slope can be climbed together with an element of rock. 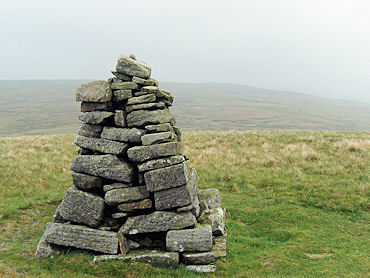 On reaching a point level with the cairn the route continues ever upwards to High Seat NY801010 with magnificent views to the Howgill Fells with Wild Boar Fell standing proud. 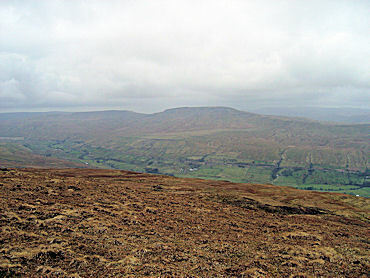 To the north Nine Standards Rigg can be seen. Our journey now takes a Southerly route to the cairn at Gregory Chapel NY802003 a route which does have a track of sorts. 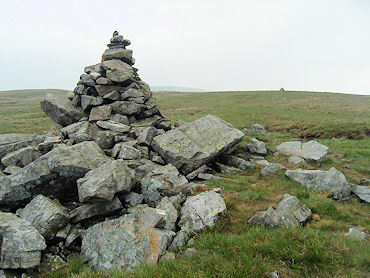 On a clear day the summit can be clearly seen from High Seat and just requires a short descent of 150ft and a climb up to the cairn. 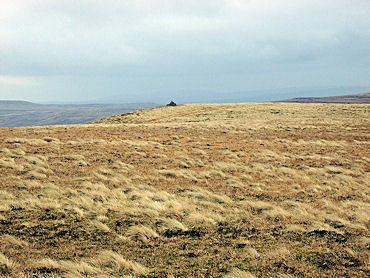 Hugh Seat cairn, SD 809991, can now be seen across in a SE direction but the direct route takes us across moorland which can be wet in places. Having bagged the peaks it just remains to return and whilst there is no marked route I suggest, to complete a circuit, a westerly direction towards SD795991 (approx position) between White Brow and Ravens Nest. Take great care especially in poor visibility as this is the edge of a very steep descent. A track is marked on the OS map designated 'Old Road' down in the valley which can be seen. This could be your route back which would take you to the road at Thrang Bridge and after a short walk along the road back onto a marked footpath across the fields to Outhgill. I however chose to take a more direct route having descended the initial steep drop (this can be done on the seat of one's pants but take care either way!) My route after the initial descent was to head across towards Birk Rigg, maintaining height to cross the small gills and dropping onto Birk Rigg when the wall side can be clearly seen. From here the route is a very pleasant level walk back to Outhgill. Just cross the beck and you are there. A very rewarding experience. A Final Note: I strongly suggest this walk is not attempted without OS map, compass, map reading skills and ideally a GPS. 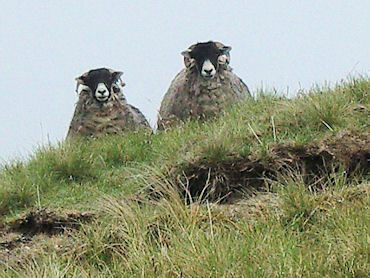 The climb is very steep on Mallerstang Edge. Mike says "Thank you Denis for adding the walk to the Walking Englishman's free resource of walks"